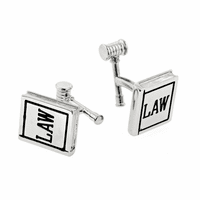 FEATURES/SPECS These whimsical cufflinks are the perfect gift for that hard to shop for lawyer or judge. 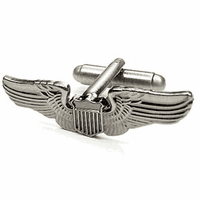 Made of highly polished silver plated steel, each cufflink has a large, black oval face. 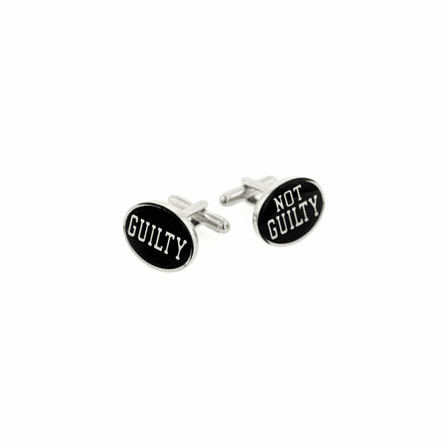 One has the word "Guilty" printed in white across it and the other has the words "Not Guilty" printed on it. Even the most hardened legal mind will crack a smile when they open this gift. 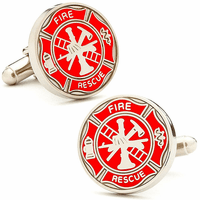 This set of two cufflinks comes packaged in a gift box and they're made right here in the USA.